Whether you were at the Electronic Beats Festival in Cologne, Bratislava, Prague, Gda?sk, or our appearance at Springfestival in Graz, we hope you had a wonderful time with our audio/visual live selections! Take a look back now with us at a few video memories from the last weeks, featuring James Blake, The Whitest Boy Alive, Digitalism, Jazzanova Live feat. Paul Randolph, and Squarepusher! Enjoy! Here’s James Blake, playing his take on Feist‘s ‘Limit to Your Love’ and ‘I Never Learnt to Share’. Also, there’s a video of his retouch of ‘Klavierwerke’ on our YouTube channel, and here’s our short interview with Blake. Another highlight from the Gda?sk festival was Digitalism‘s live set. Here’s them performing ‘Idealistic’, ‘Falling’, and ‘Magnets’ live at Centrum Stocznia Gda?ska. Our pals from Jazzanova always know how to move a crowd, which is why we’ve been extra-thrilled to have Jazzanova Live feat. Paul Randolph perform ‘Believer’, ‘I Human’, and ‘Boom Klikki’ on stage in Gda?sk. His new live show is as stunning as the UFABULUM album itself, and Squarepusher‘s set at Electronic Beats Festival Gda?sk will stay in our minds for quite a long time – see for yourself with the 20 minute recap above. The Whitest Boy Alive were another real highlight – and it seems that we haven’t been the only ones to think so of the Prague night (although it could’ve been anywhere in the world, according to Erlend Øye). 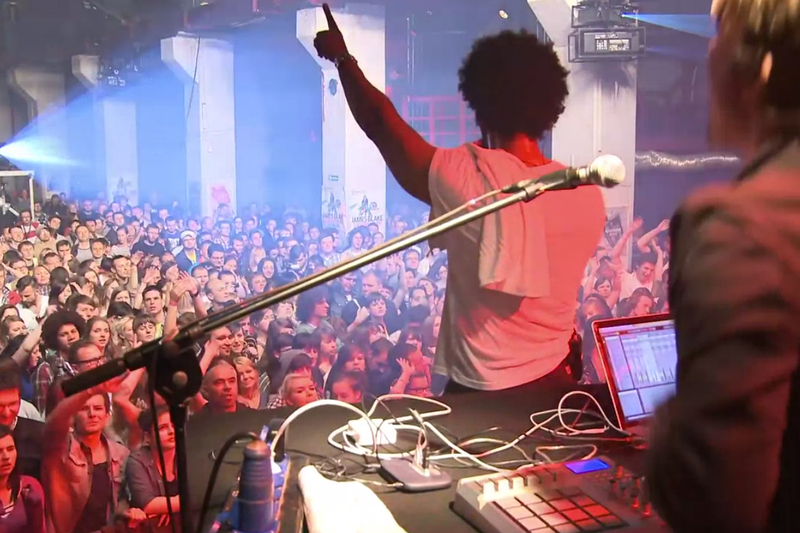 One week later the EB entourage travelled to Bratislava to see Woodkid, The Asteroids Galaxy Tour, Friendly Fires, and UNKLE Sound – check out our highlight video from one memorable night at Refinery Gallery. Just a few days ago we finally had Amon Tobin premier his ISAM live show at Electronic Beats Springfestival Opening Night 2012, and here’s 30 full minutes of audio-visual madness! Expect more videos from last week’s Cologne festival to pop up, soon – here’s a short recap of Miike Snow‘s set plus a brief interview for now as well as Austra playing Young And Gay”, “Lose It” and “Choke” live and in HD video. But there’s even more: find more full live videos by Woodkid and James Blake in our EB video section as well as on our YouTube channel.